Adsupply is a leading advertising portal/platform/network in the world. It uses a world – class digital technology for advertising across various websites. It receives the advertisements from the advertisers and publishes them over the websites with the help of the publishers/website owners. Adsupply review each website before approval. 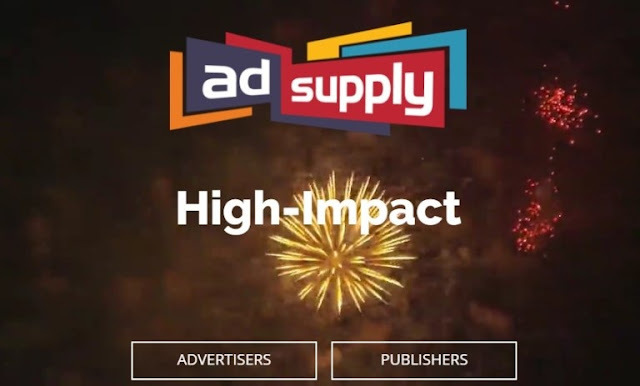 The advertisements supplied by this Adsupply network to publishers, agencies and brands have a greater impact all over the world. It is ranked as one among the top five information and news advertising networks for its outstanding service as well as performance. The comscore also gives a ranking of 21 to Adsupply in the list of online advertising platforms. Adsupply can be accessed over tablets, mobiles and desktop systems and is trusted as a partner of digital marketing by the following world-wide brands such as Netgear, Caesars entertainment, Walmart, etc. It contains a superior and transparent interface with pivot facilities and intuitive dashboards. It helps both the advertisers and publishers to generate large revenue via effective advertising and publishing options. It increases the ROI rate, thereby improving the profit to both the publishers and advertisers. It enhances the browsing experience with the help of coupons, shopping, and some other features. It makes investments in peculiar ad format development which thereby enhances the performance for both the publishers as well as the advertisers. Adsupply offers minimum unique of around 25 and minimum impression of around 50 per month to its publishers. It delivers real impressions and high – class monetization for publishers who manage the websites. It is highly suitable for those publishers, who want to monetize the traffic of their websites in an efficient way. It enhances the value of website visitors, thereby supporting the publishers to get maximum profit. Some of the publishing partners of Adsupply include Photo bucket, The Washington Times, and Tribune publishing and so on. Adsupply facilitates minimum spend of around $20 per month via its advertisers. It focuses on the quality of advertisements, which it gets from the advertisers. It overviews the conversion rates, advertisement interactions and viewability of the websites. It prepares and delivers a 10x larger advertisement canvases when compared to banners. It displays advertisements with 99% human traffic, 90% viewability and 5x engagement. It offers a share of around 100% to all its advertisers. It helps the advertisers in reaching the target audience with high engagement. Advertisers are paying the network for displaying their advertisements through the mode called CPM, which is nothing but Cost Per Thousand Impressions. CPM is a term used in marketing to depict the charge per thousand impressions advertised across a website. Adsupply network makes payment to its publishers (website owners) for advertisement publishing over their websites through the modes such as CPM, Rev Share and Auction. Hope this AdSupply Review will be helpful for both publishers and advertisers. In case, you have already tried it before please share your experience with us in the comment section below.